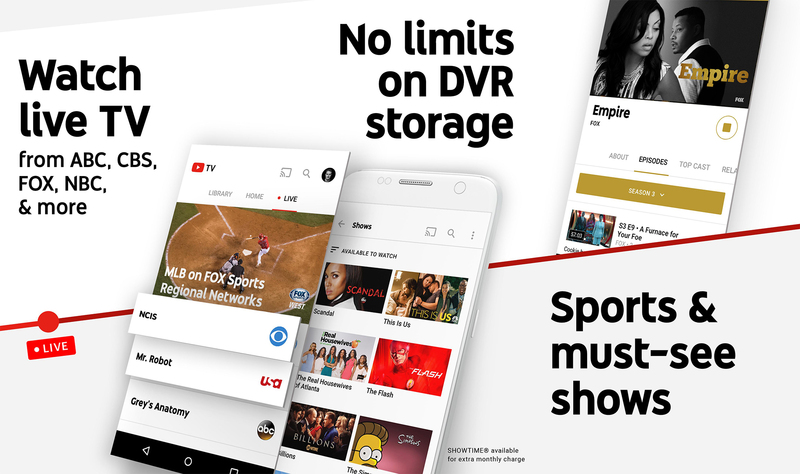 When YouTube TV was announced a few months ago, it was off to a slow start and limited to a few markets. Our very own Ryan had to do some tomfoolery to get it to work in his hometown so he could write up his thoughts. In the beginning, this initiative was available only to customers in New York, Los Angeles, Chicago, Philadelphia, and the San Francisco Bay Area. But as part of a slew of new announcements, YouTube has stated that the live TV service is expanding to ten more markets. In addition to the original five, those of you living in Dallas-Ft. Worth, Washington, D.C., Houston, Atlanta, Phoenix, Detroit, Minneapolis-St. Paul, Miami-Ft. Lauderdale, Orlando-Daytona Beach-Melbourne, and Charlotte will soon be able to join in on the experience. Support for YouTube TV will be rolling out to these areas in the coming weeks, so stay tuned (heh). That's quite an expansion and covers a very large number of people. It also happened rather quickly, so maybe we'll hear about even more markets soon. It appears this is now live in Washington D.C. and the surrounding area. According to the below email, you can try it out free for a month before deciding on a $35/month subscription. 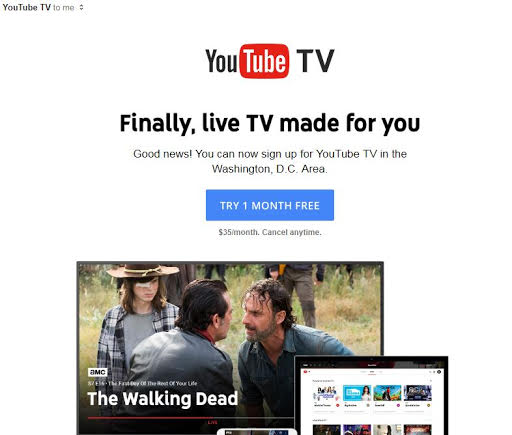 According to Google's YouTube TV support page, this is now live in all 10 of the new locations. Go ahead and give it a try if you're lucky enough to live in one of those places.